The digital world is dynamic. The introduction of each new technology seems to create a wave other new techs will ride that changes the way we use the internet. The way we search online is no different. Voice search was introduced by Google in 2014 and was more of a novelty than something users relied upon. However, improvement of speech recognition technology has thrust voice search to the forefront and it is continuing to grow in popularity. Current statistics show that 41% of adults use voice search at least once per day. Projections show that by the year 2020 at least 50% of all online searches will be performed via voice search. With the popularity of voice search on the rise, identifying upcoming trends will play a vital role in learning what the future of voice search holds. It is predicted by ComScore that by the year 2020, 50% of all online searches will be performed with voice search. A 2016 study by Gartner predicts that 30% of all browsing sessions will be done with voice by 2020. According to NRP and Edison Research, one in six Americans own a smart speaker. Studies from Alpine.AI show that voice searches average 1 billion per month as of the beginning of January 2018. Over 20 percent of American homes equipped with Wi-Fi owned a smart speaker by the start of 2018, according to ComScore. According to Google, 52% of people owning smart speakers keep them in a common room such as a living room. 25% of these people keep them in the bedroom, while 22% keep a smart speaker assistant in the kitchen. A study from Emarketer shows that in 2017 nearly 30% of millennials used a voice-enabled digital assistant to perform searches at least once per month. That degree of voice search drops to over 15% for Gen X’ers and nearly 10% for Baby Boomers. A 2018 study from BrightLocal found that 58% of consumers have used voice search to find local business in the past year, while 46% of people using voice search daily look for local business. 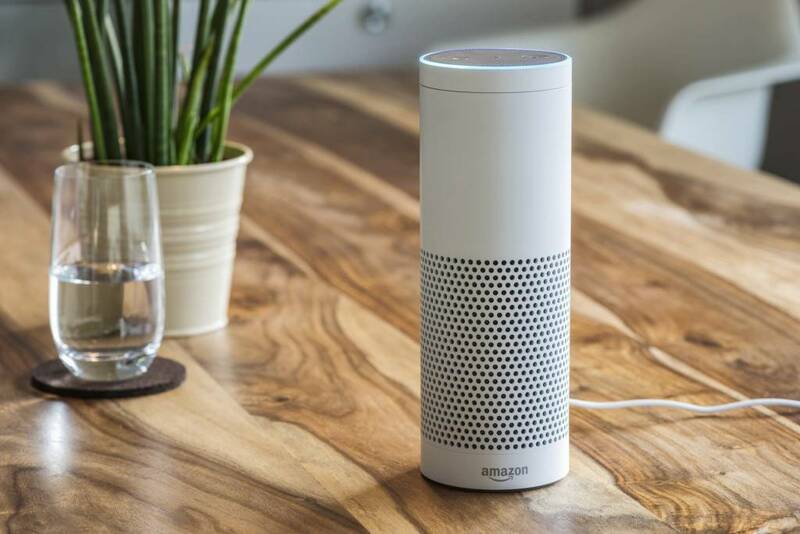 Smart speakers are becoming more commonplace in households around the globe. Early products such as Alexa and Siri were merely novel and entertaining. It was fun to ask Alexa silly questions just to see how “she” would respond. But the technologies have drastically improved, and new technologies, such as Google Home and Apple’s HomePod, are now in the marketplace with other tech giants soon to release their own smart speaker technology. A study from Statista.com shows that in 2017 over 25 million smart speaker devices were sold in the U.S. alone, with 2018 sales projected at 39 million units. In a recent post from emarkert.com, they project that smart speaker use will rise at a compound annual growth rate of nearly 48% to include over 76 million users by 2020. As people become more accustomed to interacting with voice activated/responsive devices, smart speaker sales will continue to rise, and the use of voice search will increase accordingly. Advancements in Artificial Intelligence (AI) and Deep Learning are making a huge impact on the way we interact with our smart devices and how we search the internet. Google’s RankBrain is a prime example. RankBrain is designed to recognize words and phrases which it can then translate mathematically in order to learn. What is even more amazing is that when RankBrain encounters a phrase which it has never heard before, it actually makes a guess as to the searcher’s meaning and gives relatively appropriate answers. This ability to “think” makes AI devices such as RankBrain more effective at handling unexpected search queries. Roughly 75% of voice search results will rank in the top three positions for a particular question on a desktop search. The increasing prevalence of AI devices will also necessitate changes to search algorithms to accommodate machine learning. It’s anticipated that Google may roll out changes to its algorithm as early as the end of 2018. Smart speakers are not the only source of information via voice search. Anyone with a smartphone knows that voice search is mobile. Google’s voice search on mobile devices is now available in over 60 languages. Even back in 2016 Google let it be known that 20% of searches on its mobile app and on Android devices were done with voice search. Mary Meeker’s internet trends report found that almost 70% of these searches were done using natural or conversational language. Again, this trend is growing, facilitated by advances in speech recognition technology. In fact, Google’s speech recognition technology has a 95% accuracy rate when the spoken language is English. Trends show that local search among voice search users is on the rise. Within the past year 58% of consumers have found local businesses using voice search. What may be even more exciting is that 46% of those using voice search will look for local business on a daily basis. 82% of customers research products and services online before making a purchase. According to Google, searches for “near me” business have increased dramatically over the past few years. This increase in local voice search is great news for local business. Since 2015, mobile searches have surpassed desktop searches. The increase in mobile searching is one of the driving factors behind the growth of local search. This has focused retailers and marketers to fine tune their efforts to capitalize on the rise of hyperlocal searches. Finely targeted ads will appear to users who search locally, even to a defined geographic area of only a one block radius. Voice recognition from Google already has an accuracy of 95% and Google is not the only tech company working on the perfection of voice recognition to capitalize on voice search. 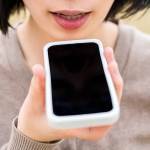 China’s iFlytek already has a speech recognition system with an accuracy rate of 98%. Their system will not only accurately translate English to Mandarin, it will also translate Mandarin to English, Korean, Japanese and 22 different Chinese dialects. They are predicting that within three years they will achieve 99% accuracy. This global movement to perfect voice search means that marketers will have to fine-tune their approach to optimize for voice search as a regular part of their SEO strategy. Using natural language with direct answers to specific questions is key. Schema markup and rich snippets can help keep queries and answers in context that are better understood by search engines. Since voice search is often conducted for local searches, it’s important for merchants to have their Google store in proper order with up-to-date operating information. Make certain your content is optimized and current by eliminating duplicate pages, outdated contact information, and old operating hours. Domain authority and traditional search rankings play a big role in the appearance of voice search results. Optimizing for voice search is one of the latest trends and those who are not preparing for need to start. As voice recognition continues to improve and the use of voice assistants such as Alexa, Cortana, Siri, and Google Assistant continue to grow, so too will the need to stay ahead of the competition. Reach out to our expert team to discover how DBS Interactive can help optimize your site to leverage the growth of voice search.